You know me and nursery rhymes. Well, if you don't, I collect them. Books, books, piles of books. It is an obsession. I love the illustrations. 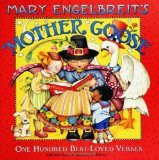 My favorite at the moment is Mary Engelbreit's Mother Goose: One Hundred Best-Loved Verses . 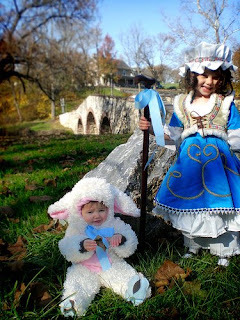 So, I really just can't give up the chance to dress my kids up like Little Bo Peep and her lambie. Grosgrain is having an awesome costume giveaway. Your children can become a nursery rhyme pair. What fun. Go there to enter today. Really though, the sizes are perfect for my kids. They are also holding a GrosgrainStore.com Grand Opening & Giftcard Giveaway!!!!!!! !